India will change the way you see the world. No other country makes a deeper impact and a more lasting impression on travelers than India. Anyone visiting India simply must see the Taj Mahal in Agra. India’s most iconic and famous landmark and the country’s most visited historical monument. The best time to visit is between November and February to avoid the extreme heat and benefit from off-season India tour discounts. There are many private tours available or Agra is easily reachable by train from Delhi. If you want to avoid the crowds then take a boat ride past the magnificent building or get stunning views from the opposite bank of the river in the Mehtab Bagh Gardens. 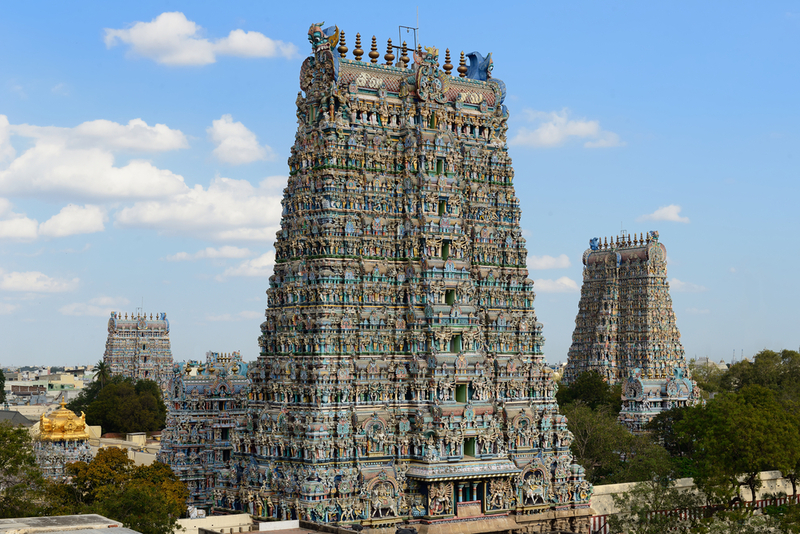 The Meenakshi Temple is located in Madurai in southern India in Tamil Nadu. The temple is a brightly colored Hindu temple and is a major pilgrimage destination of the Shaivism tradition one of the major traditions within Hinduism that reveres Shiva. During the ten day Meenakshi Tirukalyanam festival more than a million visitors and pilgrams visit the temple. There are two separate shrines in the temple complex to the goddess Meenakshi and the god Sundaresvara which are must sees when visiting the temple. The temple itself is actually a series of temples in a complex that makes up the old city of Madurai. 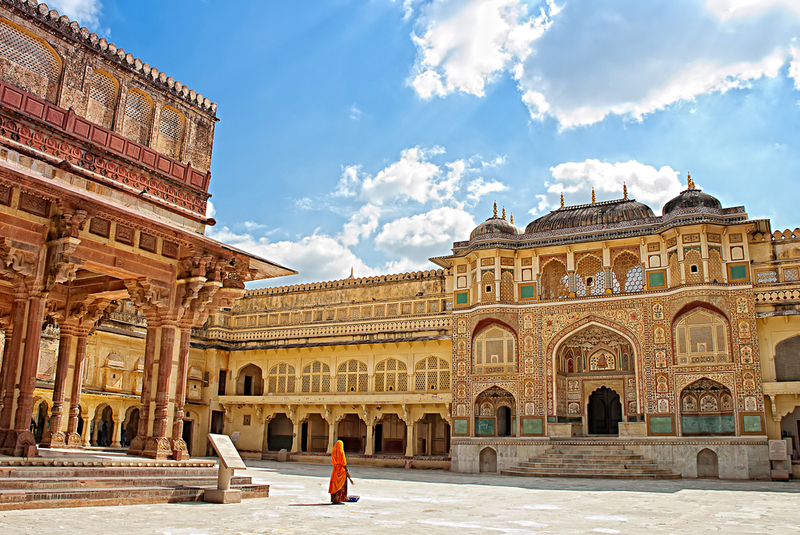 Located to the north east of Jaipur in Amer you will find the Amber Fort and Palace. The Hindu artistic elements are absolutely stunning, and the Ganesh Pol shown to the right side of the picture below is no exception. The history of the palace is fascinating with most of the current structures being built or modified in the 1600's. There are six main sections that form the layout of the palace with each section having its own courtyard and entry gate. Each section also served a distinct function from areas of worship, to areas for public events and areas where the Maharajah lived. Near the town of Sawai Madhopur in Rajasthan you will find Ranthambore National Park. 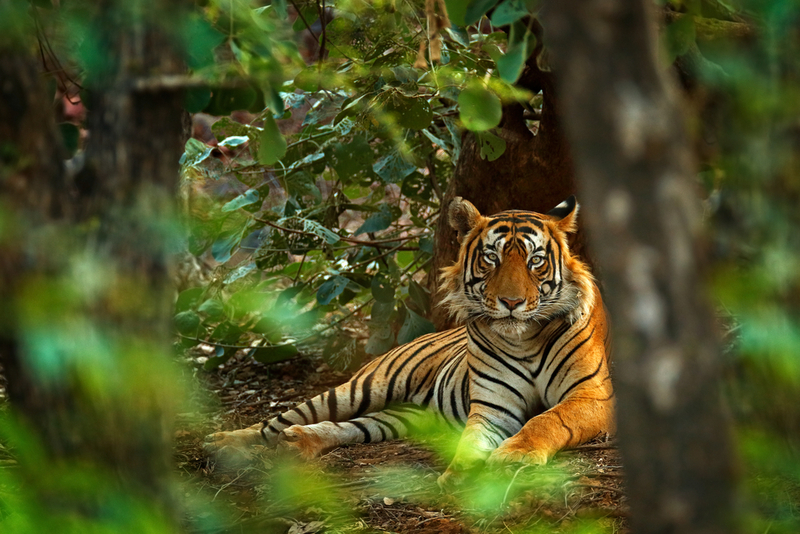 This park is home to the elusive Bengal Tiger and an abundance of other wildlife. Tours of this park leave early in the morning and late in the evening when temperatures drop to experience the wildlife when they are at their most active. Wildlife photographers head to this park to capture some amazing photos of the animals in their natural habitat. The tigers are what make this park famous and lucky for most visitors they are generally visible in the day. Amazing architecture and history combine to provide a unique experience in India’s most popular caves. Magnificently carved into hillside rock near Aurangabad, the level of detail and craftsmanship is spell-binding. This is a UNESCO World Heritage Site and with good reason. 34 caves at Ellora date between the 6th and 11th centuries while the 29 caves at Ajanta are even older. 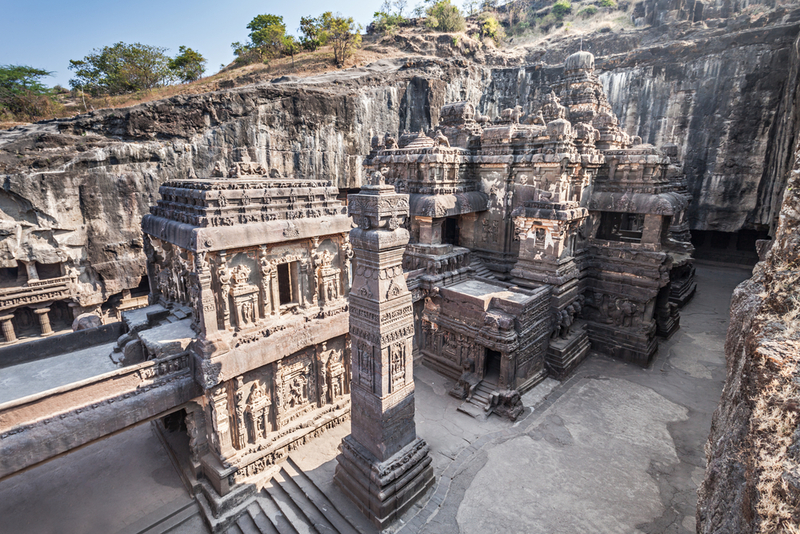 The carvings are a mix of Buddhist, Jain and Hindu and are a must-see excursion on your Indian adventure. 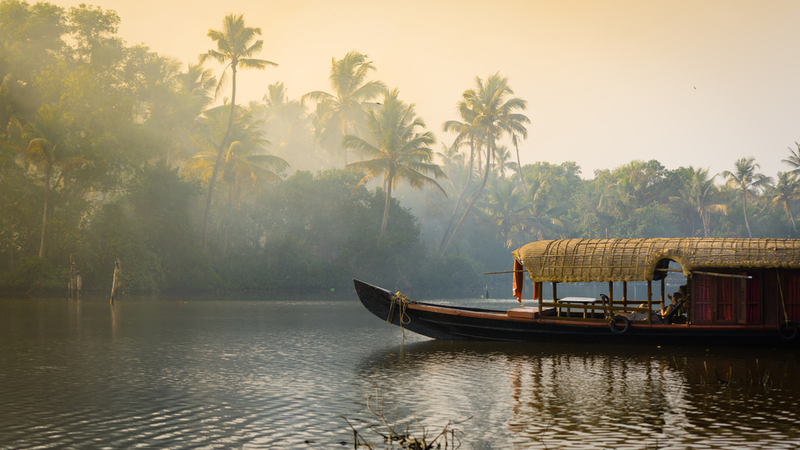 Much of India is busy, bustling and a bit in your face so if you want somewhere beautiful to unwind then the backwaters of Kerala are the ideal place. Palm trees hang over the water’s edge as you glide along in a houseboat without a care in the world. You’ll discover unique wildlife, riverside villages and a pace of life you could get used to. With freshly prepared Indian food available on board, you might never want to disembark. 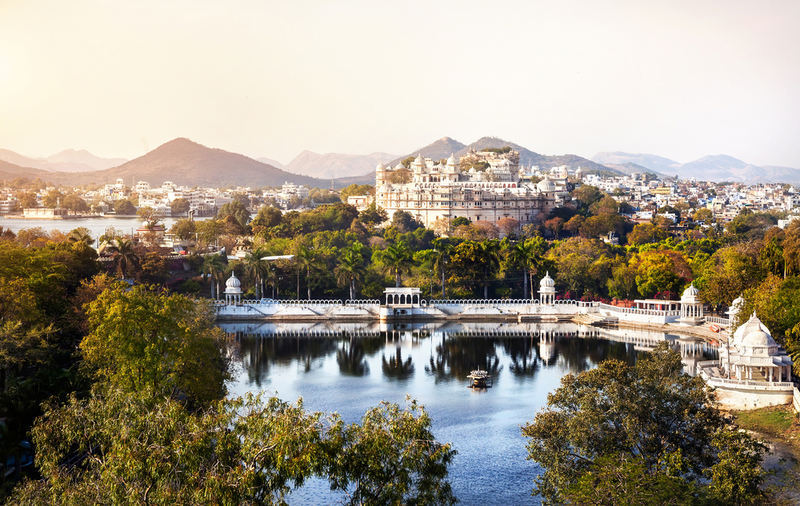 Known for its elephants and unspoiled tropical landscapes, this is the India you’ll fall in love with. 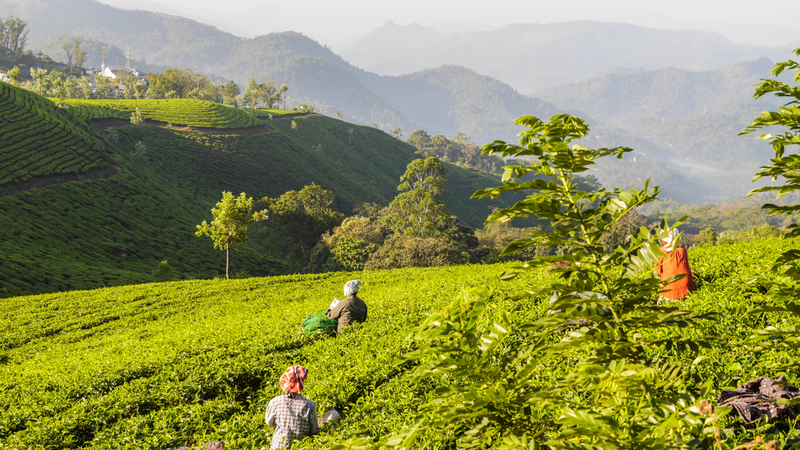 Munnar located in southwest India in Kerala is home to tea fields as far as the eye can see. Set in a hilly landscape this is a must see location for those who enjoy trekking. The views from the tops of the hills overlooking the tea plantations are simply amazing. A hike up to Top Station is a popular place to them in. Once you are done taking in the views you can also visit the tea museum and tea factory to learn more about the area, its history, and the production of tea. 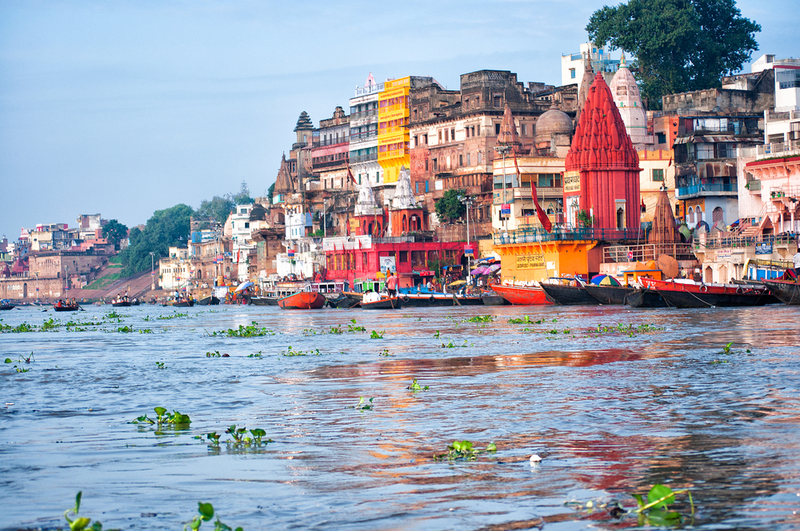 For those seeking to experience the intense spirituality that India offers, a trip to Varanasi is well worth the effort. It is a top spiritual destination that doesn’t hide its riverside rituals. Be prepared for witnessing anything from bathing to cremating the dead in the waters of the Ganges, in this mystical city. It can be a culture shock but offers an incredible and unforgettable insight into the ancient traditions of this country. 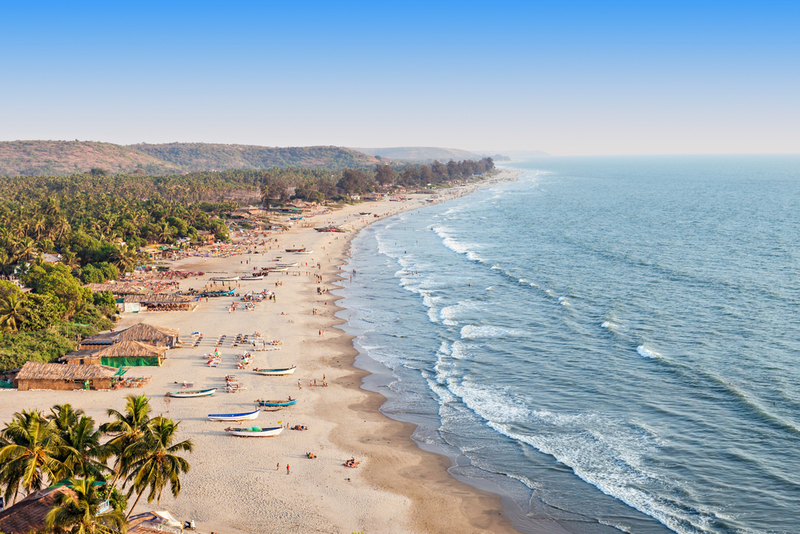 If you’re looking for a beach vacation then Goa is India’s best. Whether you want to party or laze by the ocean, the choice is yours as you can choose to do as much or as little as you like. There’s almost a beach for every atmosphere so whether it’s water sports or a hippy vibe you seek, you’ve got it all. You’ll also discover plenty of history, culture and adventure activities so hire a scooter and visit some of the old Portuguese colonial buildings or the vibrant markets. This is where you’ll most likely land, straight into India’s capital city. It can feel a bit like a slap round the face, such is the intensity, noise and sheer numbers of people. As long as you’re braced for impact then you can allow yourself to settle in and enjoy the wonderful sights Delhi has to offer. 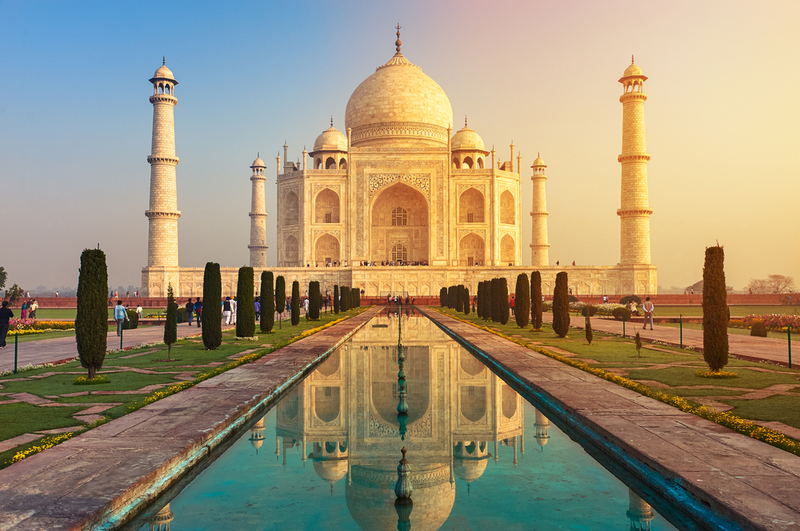 You’ll find beautiful Mughal monuments, stunning mosques including the biggest mosque in India, the iconic red fort and numerous landscaped gardens. 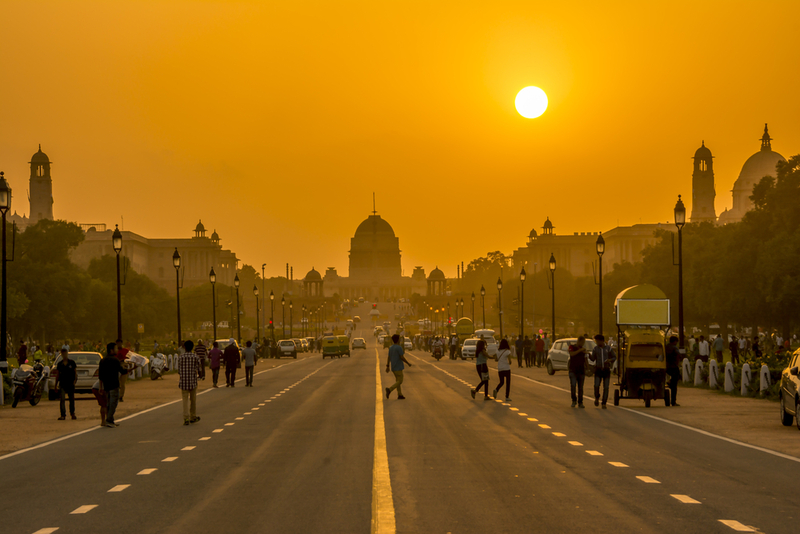 The difference between old and new Delhi is significant so spend time exploring both. Considered to be the most romantic city in India, its regal architecture is simply awe-inspiring. Large parts of the City Palace have been converted into a museum by the royal family, offering the chance to see some amazing and priceless exhibits. There are many great places to stay in the city with splendid views over the lake. Be sure to head to Ambrai Ghat, opposite the City Palace for incredible views especially at sunset when the palace lights are turned on. Another must-do activity is a ride on the red cable cars that take you to the Karni Mata temple and viewing platform.